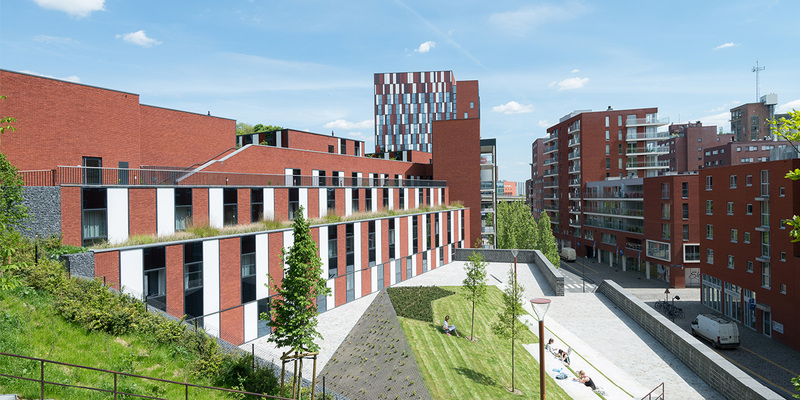 Engels Plein is the third project developed by Ghelamco and Jasper-Eyers Architects in the canal district of Leuven known as the Vaartkom. 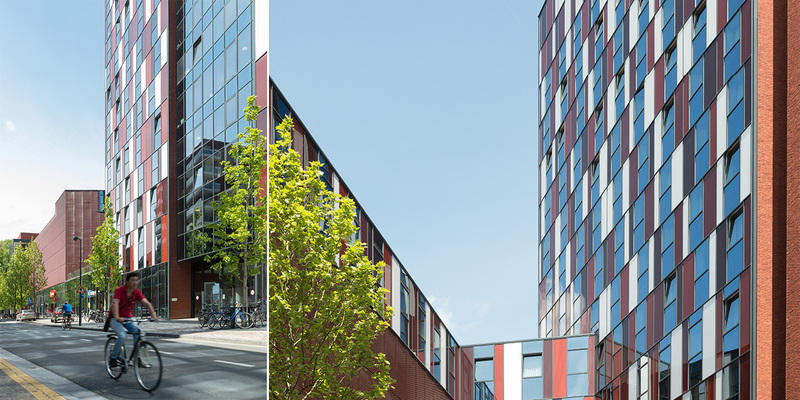 It follows Waterside – a residential project with 116 apartments, and Vanderelst - 16.000 m² office project. 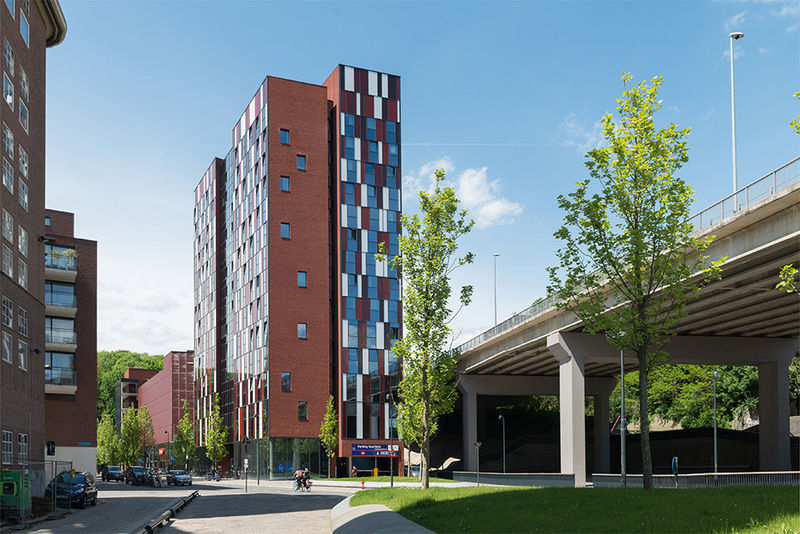 The mixed-use project plays a key role in this new area of urban development and is also part of the response being made by the City of Leuven and the KU Leuven to the growing need for modern student accommodation. 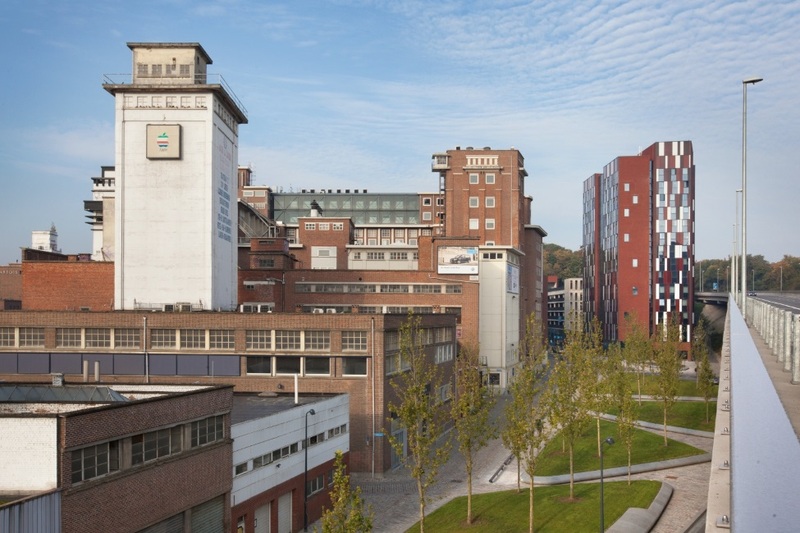 The project’s scale, materials, colors and general morphology consider the existing buildings along the canal, resulting into a smooth extension of the current fabric of the area, despite the vast size of the project. 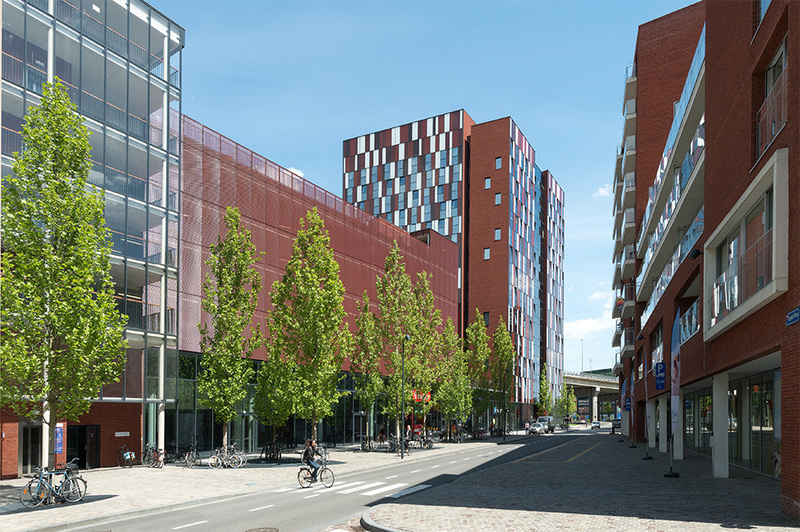 With numerous green roofs and patios, large shopping area, different residences and parking lots, Engels Plein brings life and dynamism into previously forgotten neighborhood. The parking garage offers space for 1,002 cars and 657 bikes of both residents and visitors to the city center as well.